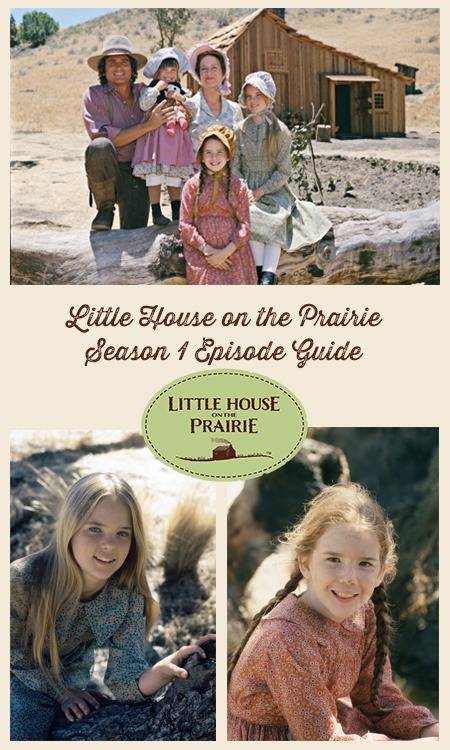 The “Little House on the Prairie” television show is an adaptation of Laura Ingalls Wilder’s best-selling Little House books based on her own life. This TV legend began with the pilot in March of 1974, which introduced millions of viewers around the world to the Ingalls family. It was then picked up as a series and became one of the highest-ranking shows. For the first time since their original TV broadcast, all 24 season 1 episodes are now presented complete and uncut, and newly restored and remastered for optimal picture and sound quality! In this ultimate season 1 episode guide, you’ll relive all of the heartwarming adventures and learn some new facts along the way. Some of our favorite facts and tidbits came from Alison Arngrim’s autobiography and Melissa Gilbert’s memoir. When the big woods of Wisconsin becomes a difficult spot for hunting, Charles Ingalls reluctantly decides to move his family to Kansas. Leaving their beloved relatives proves to be devastating, but the resiliency of the Ingalls spirit reigns supreme. The Ingalls family settles on the banks of Plum Creek near Walnut Grove, Minnesota. Charles builds a home for them with his own hands and heads into town immediately to look for work. It is hard enough meeting his financial responsibilities and finding enough time to spend with his family, but the greatest challenge arrives when an unfortunate accident places the Ingalls family in jeopardy. Everyone loves baby Carrie’s trip and tumble down the hill during the opening credits. The hillside was wired with plastic flowers since the weather at the time was too dry for real prairie flowers, and as a result of the stiff flowers and the unusual old-fashioned shoes, her tumble was really an accident! Did you know that Melissa Sue Anderson also tripped and fell during the recording of those scenes? When Pa is fixing the roof during this episode, there is a grain delivery man unloading a wagon in the background. That man is Hal Burton and he is actually Michael Landon’s stunt double. If you look closely, you’ll see the resemblance. Laura and Mary are nervous about their first day of school in Walnut Grove, but they are quickly put at ease by the genuine kindness of their new teacher and the majority of their classmates. Later, when their teacher invites the children’s families to a special presentation in the classroom, Laura must come up with a plan when she realizes that she is not prepared. Another “Top Ten” episode for Melissa Gilbert, this episode is when Melissa (Laura) and Alison Arngrim (Nellie) began their friendship in real life, which continues to this day. During the filming of Country Girls, Alison Arngrim passed out from the heat and the layers of her costume. Delighted with his beautiful new wheat crop, Charles is in a position to buy new dresses for his daughters, a warm coat for Caroline, and maybe even some new boots for himself–not to mention an ideal team of horses that the family’s newfound financial position can now afford. It all sounds like a dream come true, but the Ingalls receive a shocking wakeup call when a harsh hailstorm destroys the entire crop. 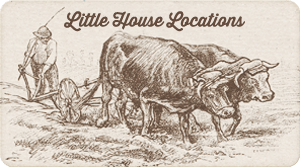 The title of this episode is a reference to the 100-mile walk in the book On the Banks of Plum Creek (the fourth book in the Little House series). However, in the books it was locusts that ruined a crop and it led to the Ingalls moving on, unlike in the television series in which the Ingalls and the Wilder families stay in Walnut Grove through most of the series. Jonathan Gilbert (who played Willie Oleson) never read the entire script of any of the episodes he acted in. He said he did this so that he could watch the show later and still be surprised. While Charles is traveling in Mankato, he meets up with a drunken Mr. Edwards and encourages his longtime friend to retun with him to Walnut Grove. 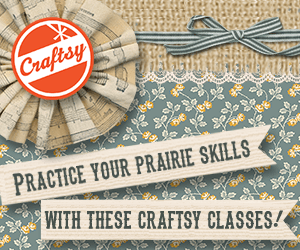 Isaiah adjusts quickly with the Ingalls, bunks in the barn, and even lands a job at the mill. Caroline sets him up with the shy and reserved Grace Snider. This is the first appearance of Bonnie Bartlett as Grace Snider. Bartlett is well known for her role as Ellen Craig on the medical drama series “St. Elsewhere.” She and her husband, actor William Daniels, who played her fictional husband Dr. Mark Craig, won the 1986 Emmy Awards on the same night, becoming the first married couple to accomplish this feat since Alfred Lunt and Lynn Fontanne in 1965. Mr. Edwards is a character in Laura Ingalls Wilder’s Little House book series. The Ingalls meet him during their stay near Independence, Kansas in the Little House on the Prairie book and Wilder describes him as “the wildcat from Tennessee.” He is mentioned again in By the Shores of Silver Lake, when he helps Pa file his claim during a sudden settlement rush, and in The Long Winter, when he generously gives the now-blind Mary a $20 bill. When a new boy named Johnny Johnson arrives at school for the first time, Laura is immediately smitten. Johnny is a friendly boy and although oblivious to Laura’s crush on him, he certainly makes it clear that he is interested in Mary. Even though Mary does not share the same feelings, the “love triangle” is enough to cause tension between the sisters. The lake and the tree in this episode were not located in the main set area but were actually behind Magic Mountain theme park and allowed for scenes with more shoreline. The girls’ makeup artist was Whitey Snyder who was also Marilyn Monroe’s personal makeup artist. Amy Hearn is an elderly Walnut Grove resident whose children don’t seem to be trying hard enough to visit her. In an act of desperation, Amy decides that staging her own funeral is the only way to see them again, but it’s a scam that she can’t pull off herself. Robin Muir, who plays Miss Amy’s little granddaughter Maureen, appears again as Charles Ingalls’ younger sister Polly in a flashback sequence in Season 4’s “I Remember, I Remember“. Laura connects with a sweet, shy classmate named Olga Nordstrom, who happens to have been born with a short leg. Charles has an idea that can change Olga’s entire life, but the challenge will be convincing the child’s stubborn widowed father. Kim Richards, a popular childhood actor who went on to have a successful career in entertainment which included a role on “The Real Housewives of Beverly Hills”, starred in this episode as Olga Nordstrom. When Nellie falls into the pond, it is actually a stunt double. They switched to Alison Arngrim for the shot of her coming out of the water. Charles is preparing for a business trip to Mankato, and he wants to turn it into a romantic getaway for him and Caroline. They leave the girls in Mr. Edwards’ care, but things don’t go quite as planned for everyone involved. The voices of the unseen child-actors at the play Charles and Caroline watched are voiced by June Foray, the legendary voice-over artist who gave life to Rocky the Flying Squirrel, Natasha Fatale, the original Chatty Cathy doll, and many other characters. When Miss Beadle is injured in an accident, Caroline is asked to fill in temporarily at the school. While teaching, Caroline sympathizes with Abel McKay – an older student who is quiet, withdrawn, and reluctant to learn. Dirk Blocker played Abel McKay in this episode. Dirk’s father, Dan Blocker had played Hoss Cartwright on the hit television series “Bonanza” alongside Michael Landon. Karen Grassle was a lead in this episode and it gave her a chance to show off her acting skills. She won the role of Caroline Ingalls from over forty-five other actresses who also auditioned for the role. Feeling guilty for accidentally breaking Laura’s beloved china doll, Mary brings home a baby racoon to smooth things over with her sister. Charles is hesitant to allow Laura to keep the animal, but he decides that it would be all right to make a temporary adoption – a choice that he later regrets. Barney was the dog who played Jack, and even though he wasn’t a bulldog as described in the books, Michael Landon fell in love with him. He worked with the show until he passed away in Season 4. The scene with Mary and Pa in the barn when Mary confesses that Jasper bit Laura too was supposed to have cross cut images of Pa. Michael Landon got ill during this shoot and couldn’t record close-ups of his dialogue. The producers decided that Melissa Sue Anderson’s acting was strong enough to carry the scene. The final cuts featured only close-ups of Mary, and the episode was finished on time as a result. When Reverend Alden suggests taking up a collection for a new church bell, tempers flare over how the bell should be financed. Proud Mrs. Oleson wants to donate the money and include a plaque with her name on it. Others protest the idea, and both sides threaten to leave the church. Sean Penn is a child extra in this episode. His father, Leo Penn was the director. This was the first large role for Mr. Kennedy, the hot-headed father of Christy and Sandy who got so angry. He appears in a few more Season 1 episodes after this. While studying for a history examination in the barn one night, Mary accidentally knocks over a reading lamp. After putting out the fire, a furious Caroline yells at her daughter. Later, Mary takes a job at the mercantile to pay for some items damaged in the fire, then makes a decision that could further aggravate her relationship with her mother. Melissa Sue Anderson had never lit a match in real life before acting in this episode as Mary Ingalls. This is the first episode of the series that Michael Landon does not appear in at all. The Ingalls family is delighted by the birth of a new baby boy, Charles Frederick Ingalls. But Laura is jealous and refuses to pray for his good health. When tragedy strikes, she is overcome with guilt and receives insight from an unlikely friend. This is one of Melissa Gilbert’s “Top Ten” episodes. She has said that the tears at the end of the episode between her and Michael Landon were real. No makeup effects were needed for this touching scene! The in-town part of this two-part episode was filmed before the Tinker Jones episode. You can see that the church doesn’t have a bell early in the episode. With Christmas approaching everyone works hard to make the holidays special. While Mary begins working overtime for the town seamstress, Charles raises extra money by reconstructing some wagon wheels, but perhaps the biggest shock of the season comes from little Laura, whose personal sacrifice will reaffirm everyone’s understanding of genuine family love. Do you remember the green scarf that Laura knitted for Pa in this episode after dyeing the yarn green using onion skins? Onion skins actually can be used to dye yarn green. You can see how in this natural dye post we created. In this episode, three-year-old Carrie has two significant one-on-one scenes with Charles; first when she asks Charles what Christmas is, and again when she and Charles are talking about Santa in the middle of the night on Christmas Eve. We don’t see Carrie interact this much with her father again until Season 5’s “The Godsister“. Most fans credit this as their favorite Carrie scene in the series. Mr. and Mrs. Oleson get into a huge argument and decide to separate. The Ingalls and their friends try to intervene and convince them to settle their differences. Look quickly for the man in the checked shirt, dark vest and hat, who follows Mrs. Foster into the store just as the Olesons open the doors. Could this be the elusive Mr. Foster? When Charles (holding Carrie) enters the stockroom to talk to Nels, one can briefly see Mrs. Foster in the store, turning to ask this man a question, while holding some merchandise. As nobody addresses this mystery man by name during the scene, however, the viewer can only presume that this is indeed Mr. Foster. This episode is reported to be Katherine MacGregor’s (Harriet Oleson) favorite episode from Season 1. Harriet Oleson’s young niece comes to town for a visit and is immediately attracted to Doc Baker. A whirlwind romance follows and despite their significant age difference they become engaged – until an unexpected event leaves them both with a critical choice to make. Season 9’s “Love” shares a lot in common with this episode. Mr. Edwards falls for a young woman who is half his age, only to realize that marriage would eventually be a burden to her. Several people in Walnut Grove get very sick. A quarantine is set up in the church while the source of the illness is sought. Michael Landon’s daughter Leslie appears in this episode as the sick girl Charles checks up on. The Boulton’s house in this episode is the same building as the house that Peter lived in from episode 3, The 100 Mile Walk. The Ingalls receive a midnight visitor from Will O’Hara, a traveling circus man who, with his irresistibly charming demeanor, persuades Charles to let him set up in front of their home. When O’Hara’s “magic powers” nearly cost an appendicitis-stricken Mrs. Oleson her life, Charles asks him to leave town, only to track him down again in the wake of a family crisis. Dr. Baker performs surgery and removes Mrs. Oleson’s appendix in this story. However, in Season 6 Episode “The Faith Healer” he asks that the boy be sent to a city hospital for the same procedure. We also hear him mourning his lack of surgical skills in Season 8 Episode “Dark Sage” as he compares himself to Dr. Ledoux. When a young boy named Graham Stewart arrives at school every day with various bruises, nobody has the courage to do anything until his alcoholic father almost kills him in a drunken rage. The Walnut Grove community is reluctant to help, but Caroline encourages them to – for the child’s sake. Nellie Oleson originally had her hair carefully styled each day, however during Season 1 they had a wig custom ordered for her. This allowed her elaborate hair style to maintain it’s styling through long hours of shooting. It was, at the time, one of the most expensive wigs created for a TV show as it was constructed lock by lock to match her natural hair colors as much as possible. In the 1970s people were beginning to talk openly about social issues and family problems that had previously been considered private. This is one of many episodes that deals with a sensitive social issue. Historically, individual neighbors, schools and other public institutions did not interfere in cases of domestic violence in those days and it would have been rare for a child like Graham to be taken away from his family. A college-educated farmer named Joe Coulter moves to Walnut Grove and tells the farmers of a new hybrid of corn that would produce good crops, and he even agrees to collect everyone’s money and take a trip to purchase the corn for everyone. After an accident on the way home, Joe is unable to return on time, causing everyone in town to feel cheated. This article provides information about the different heirloom corn varieties that Pa may have planted and the ways that the Ingalls family and other pioneers used corn in their everyday lives. Mrs. Coulter was played by the daughter of Lee J. Cobb, Julie Cobb who later married Victor French (Mr. Edwards). Charles decides to bring Caroline and the children along for a springtime trip to Mankato, but on the way back, they must seek shelter from a vicious blizzard. They locate a deserted cabin that allows them to build a fire and shack up for the time being, but problems ensue when Charles must go hunting to feed his family. Today Mankato is a mid-sized city on the Laura Ingalls Wilder Memorial Highway. The highway was first designated in 1995 as U.S. Route 14 from Lake Benton in southwest Minnesota to Mankato in the south-central part of the state. Laura Ingalls Wilder historian John E. Miller wrote a fascinating book called Looking for History on Highway 14. Johnny Johnson leaves to “see the world” and Mr. Edwards goes along with him to keep him out of trouble. Johnny meets up with a girl who is able to trick him out of a lot of money. Mr. Edwards trys to persuade the girl to convince Johnny to return home. Two earlier episodes are referred to in this episode. The first: “Mr. Edward’s Homecoming” (they remember how Charles rescued him from the saloon). The second: “The Love of Johnny Johnson”. After this episode, Johnny is never heard from again. With a Founder’s Day event approaching for Walnut Grove, everyone prepares for a celebration complete with games and heated competition. Everyone in the Ingalls family ends up participating, most notably Charles, who meets an unlikely nemesis in the log-splitting competition. See some of the types of games pioneers would really play during this era. This episode opens with Jack at the creek getting himself a drink of water and then running back towards the house. This video clip is the same opening scene, music and everything, as the opening of the episode “Country Girls”. This episode celebrates the anniversary of the founding of Walnut Grove. The historic town of Walnut Grove was surveyed in 1874 and officially incorporated in 1879. See more about the historic locations of Laura’s life here. 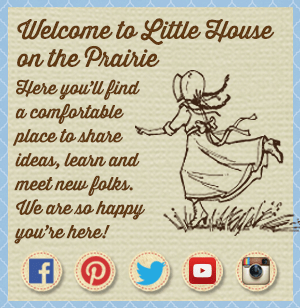 To find out when Little House on the Prairie is on TV, check the TV Schedule here. 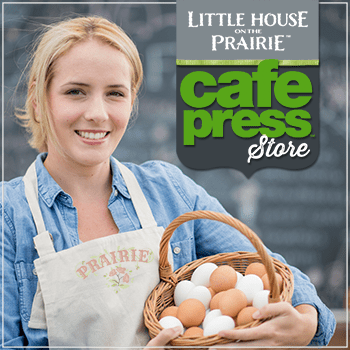 For the latest updates, we invite you to subscribe to our free Little House on the Prairie newsletter. Little House on the Prairie is truly the greatest tv show ever. 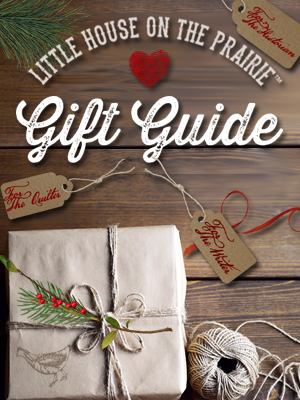 it is for all ages and has a great message about how God helped the Ingalls family all their lives. i appreciate and enjoy the episode guides, and would love it if you make one for season nine, please. thank you for this site! I watch everyday from five to seven on INSP, have been for years! I watch everyday from 5 to 7 on INSP. Have for years! What a wonderful series” Little House on the Prairie” was. Our family watched the program together, it was a very special night for all of us. Our girls couldn’t wait for the night it was on. Such wonderful shows depicting how the love of a family can get you through anything. Wish we had television shows like this today, programs where you can sit and watch together and never have to worry about something being said or shown that would not be appropriate for young children to see. Our family is grown now but the memories we made will last a lifetime!! I agree. “Little House on the Prairie” has always been my favorite tv show,and always will be. It is not only entertaining, but also a great learning lesson for everyone. In my opinion, it teaches us all to be kind, considerate and loving,for. For what is the world without love? Watch “Little House” and you will know. I love this site! Come check out my podcast – Walnut GroveCast for all the BEST LHOTP moments and discussions! Can anyone tell me how old the girls were In episode 1? In Episode 7, Laura visits the pond and reveals a shellfish she has found – trying to figure how a single shellfish got to a pond in the west – also what Laura refers to as a crab is actually a lobster – somebody goofed!!! Does anyone know which episode has the flying grasshoppers.